Anyway, today I opened up Maya 2018 for the first time and realized I had no idea how to really use the Arnold renderer, which is now included instead of Mental Ray, as far as I can tell. Regardless, I wanted to do more MASH stuff, which you might be familiar with if you've read any of my early posts. I didn't get anything animated, but do have this still that I thought was nice. 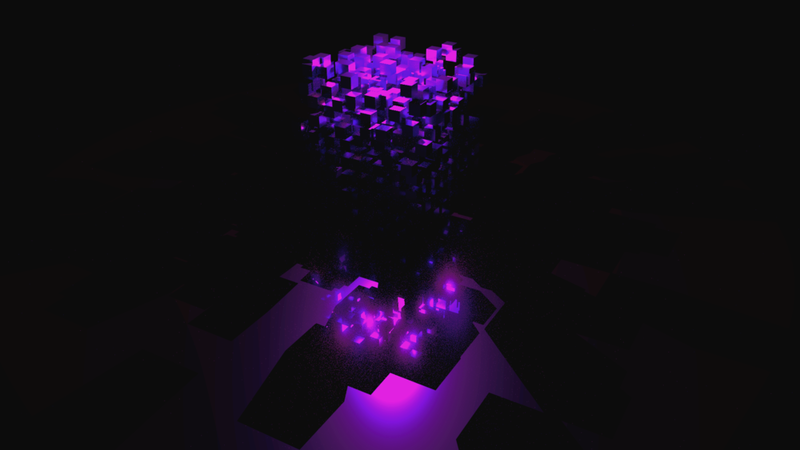 It's just a cube of cubes with a random node affecting the cubes towards the top, lit with just a single point light.